– We’re willing to put more money into education, especially if it appears that additional funds will have a strong positive impact. – We need to broaden the way we assess students and schools. – Many people are looking for something different than the traditional approach to public education. First, Gov. Mark Dayton, Minnesota legislators and many local voters were willing to spend more money on education in 2013. For example, the Legislature allocated more than $170 million to help support all-day, everyday kindergarten and fund early childhood education scholarships for students from low-income families. Moreover, according to the Minnesota School Boards Association, local voters approved 51 of 59 operating levies, and 23 of 26 requests for buildings or other capital expenses. The 86.4 percent local levy approval rate was the highest since the association began keeping track in 1980. Bloomington, Braham, Cambridge-Isanti, Eden Prairie, Hopkins, Little Falls, Mounds View, Orono, Osseo, Rosemount-Apple Valley-Eagan, St. Louis Park and Stillwater were among the communities that passed some form of referendum. Second, we need to broaden the way we assess students and schools. The Legislature responded to concerns about over-reliance on traditional, statewide, standardized tests. Led by people such as state Rep. Carlos Mariani, Sen. Patricia Torres-Ray and Education Commissioner Brenda Cassellius, the Legislature eliminated its requirement that students must pass standardized tests in reading and writing before graduating from high school. Legislators substituted a mixture of assessments. Students will be asked to take tests designed to help them understand how close they are to meeting expectations of Minnesota’s post-secondary institutions that offer one-, two- and four-year programs. Students also will be expected to develop plans for what they plan to do after high school. The Minnesota Business Partnership and Minnesota Chamber of Commerce are very concerned about removing the requirement that students pass tests before they graduate. This change is part of why I think it’s so important, as I wrote last week, for the Minnesota Department of Education to issue an annual report on the number of graduates taking remedial courses on entering colleges and universities. The Legislature requires this be done yearly. But the last report was released in January 2011. There’s also growing discussion among educators about other things that need assessing. 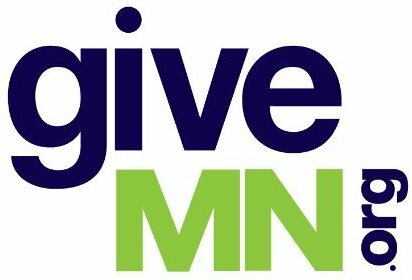 Paul Tough, a speaker at the annual Education Minnesota conference in October, explained that successful students develop persistence and what he calls “grit.” Some alternative and charter educators in Minnesota have been talking about how this could be measured. Increasing numbers of students are participating in some form of dual credit courses (for high school and college credit). Marisa Gustafson of our (Center for School Change) staff did an analysis of Minnesota Department of Education data. Over the last several years, the number of Minnesota students taking Advanced Placement courses has increased by 44 percent, those taking International Baccalaureate courses by 70 percent, those taking College in the Schools courses by 14 percent and those taking Post Secondary Enrollment courses by 9 percent. The number of Minnesota families sending their youngsters to charter public schools increased again, as it has over the past 20 years. Charter K-12 enrollment grew by more than 2,000 from the 2011-12 to the 2012-13 school year. Meanwhile, the number of K-12 students attending district public schools declined by about 4,800. Most Minnesota K-12 students still attend district public schools. But during the past decade, the number attending charters has increased about 30,000, while the number attending district public schools has declined by more than 40,000. A growing number of districts, including Anoka-Hennepin, Edina, Farmington, Forest Lake, Hopkins, Lakeville, Minnetonka, Osseo and Rosemount-Apple Valley-Eagan are offering options to their families. Minnesotans seem willing to spend more money on education, but not just for more of the same. How do I offer my opinion here without it seeming like a personal attack on Mr. Joe Nathan, who looks like everyone’s favorite uncle? How could you ever dislike this “nice guy”? Well, I don’t dislike Mr. Nathan. I’ve never met him and I have no opinions on his personality or sincerity. I have no reason to assume anything negative about him as a person. That being said, Mr. Nathan would be called in some circles, a cheerleader,a coadjutor, even a shill. What is never mentioned is the very lucrative compensation Mr. Nathan receives for this work. This doesn’t include the many conferences he speaks at, and the fees he receives for those events, including airfare, accommodations, airport limos and other incidentals. “consulting” projects from Education Privatizers located throughout the country. It all adds up to quite a bundle of cash, year after year, for Mr. Nathan, all in return for his “normalization” of charters, working hard to get people to accept his benign sounding words about “charters and district schools are really all the same” and how “we should all just learn from each other and get along instead of fighting”. Mr. Nathan wants to blur the distinctions between public schools and charters so that the latter can continue to cash in on our hard-earned tax dollars. And he knows how to do this so very gently, with his avuncular manner…hoping he can seduce us into a state where we don’t know a real school from a charter; and don’t notice when our public schools are being increasingly underfunded due to his “velvet assault” on them, praising “both types of schools”, hoping we won’t notice that these charters are bleeding us dry, and making all sorts of private interests wealthy, at our expense, while shortchanging our public schools. Maybe this won’t ever be published. It wouldn’t surprise me. People like Joe Nathan, Michelle Rhee, Joel Klein, Tony Bennett, and other School Privatizers have been, up until now, pretty much untouchable. They thumb their noses at public school parents like myself, insisting in public that charters ARE “public schools, while chuckling in private as they further drain our tax dollars for personal pleasures. Am I wrong, Mr. Nathan? There’s an easy way to prove that: Produce your IRS statements, for you and your organizations, for the last decade. Show us the money. We’re waiting. Please don’t pull a Romney on us. expect each of your messages has a broad base of support within Minnesota. Frank White’s diatribe against Dr. Nathan is unfair and wrong on several counts. Charter schools are public schools by statute, have licensed teachers and earn revenue only on the basis of how many students they have. That’s also how public districts work. Public charter schools get students only if parents choose them. If not, they terminate. That makes them more at-risk than district schools. As for being in league with Michelle Rhee and the others, nothing could be further from the truth. Parsing aside the nasty personal rant, he’s right about Joe being avuncular! First, Joe needs no defense, and attacking people may seem to be therapeutic, but has no place in the civic arena. I have known Joe for a long time, andwe both agree and disagree on a lot of issues. And still come out respecting each other. Second Joe, I would add a fourth item where I find there to be a lot of agreement. Over the past 10 years, a disingenous exercise has taken place: in many cases,policy makers pass bad or unworkable policies in the name of aspirations, but do not involve those people who have to implement the laws–and then hold those least involved “accountable” but not themselves. Enough top down, and more parent and community engagement related to education policy. Lastly, despite state laws about charter schools, three state courts have ruled charter schools NOT to be public schools. That being said, we need charter schools to do what they were orginally intended: to be experimental laboratories for improved education, and that charter schools learn from traditional public schools, as well as vice-versa. Here is where Joe and i disagree, but I believe that charter school performance does not match their assertions. Now let’s all band together on behalf of our low income and poor parents and families. To contradict Mr. White, whose comments are way off base… I have known Joe Nathan and his work for ten years. He has taken the time to personally mentor me and has enlightened my thinking on education in MN and the U.S. In my experiences and conversations with Mr. Nathan, he has always been about policies and practices that positively serve students, all students. His work is not about charter (which are publicly funded) vs. public schools, which you make it out to be. He is not a privateer nor should he be put in the same sentence with Michelle Rhee and her ilk. It sounds as if you are passionate about education, I would encourage you to engage with people in a positive manner. Feel free to get in touch as there are groups I know of that need passionate voices of parents when it comes to education and kids. Please consider engaging with people personally, before being so quick to spit vitriol on the internet. Add my name to the list of those who wonder what got Mr. White up on the wrong side of the bed on Dec. 28. He’s not only very upset, he’s also very wrong. Look folks, we can differ on what we think about K12 education and how best to provide our kids and parents with choices that bring a strong buy-in to better achievement. The more our students take a personal interest in their school and learning, along with the same strong support from parents, the far better the chance of success. What makes good charter school succeed is the same thing that makes any school succeed: students who want to learn. Yes, other factors matter too, but nothing trumps student buy-in, commitment, and desire to learn. This can happen in a public school, a private school, a home school or a charter school. The more choices a family has for their K12 learners, the better the chances of finding a learning environment that produces higher achievement. Charters have been around for decades now and many have a strong record of producing results. Those who are willing to commit the extra time and energy that it takes to make a successful charter school happen are getting rich only in the experience of seeing young learners learn more. I agree with Mr. Jennings’ comment! What’s wrong with “avuncular”, if it’s someone who cares about kids and learning. Charter schools ARE public schools. Here in Minnesota, charters are funded primarily by state aid funds; traditional public schools also receive local property tax revenues. Charters are subject to the same testing and other requirements as other public schools. At every charter, if a majority of teachers at the school wants the charter school board to be comprised of a majority of teachers, state law mandates such a teacher majority on the board. In practice, a teacher majority is almost always the case. I know there have been many abuses in charter schools around the U.S. Same with traditional public schools. But well-run charters give non-affluent families what wealthy families have always enjoyed regarding their kids’ educations: choice. “The Minnesota Business Partnership and Minnesota Chamber of Commerce are very concerned about removing the requirement that students pass tests before they graduate.” I would be too. Minnesota is a known and respected public school haven. Can’t for the life of me understand why the state would allow students to graduate without first demonstrating competency on an eighth to ninth grade math and reading test. ( however neither of them are my uncles) . What I do know is Dr. Nathan’s passion for education of all children in whichever format best fits their individual needs. In my experience, having worked in both traditional district schools and charter schools, (each being publically funded and open to all students without tuition or private payments) having a solid choice of a public offering seems to be the driving force. There are any number of reasons why parents choose to look at a charter program over their home district school, class size being only one factor. I am quite sure, however, that none of the decisions are based on whether or not Dr. Nathan reports his income as Mr. White would like. I believe the discussion should be how to best invest in and increase the learning curve for the success of our students rather than accepting mediocre results. Some schools are showing us that they are able to break the mold and beat the odds…that would be some traditional district schools AND some charter schools. THAT is the discussion we should ALL be having and asking HOW this is finally happening! Best wishes for a successful New Year to EACH of you…including Mr. White! It takes courage to innovate! A true innovator will speak up and activate the changes needed for the greater good of all. Many cry about the misuse of tax dollars. However, these monies should be used towards meeting the needs of our students in public education. Our students are growing, learning and changing everyday. Therefore, we should invest in innovating education that will enable them to reach higher heights of success. As a public educator, Joe Nathan’s columns and works attribute to my achievement in leading change that will ensure academic success.